As senior citizens give up their car keys, one big question remains: who will drive them where they need to go? In California, the unique ride service HopSkipDrive has provided a solution. Three moms developed the service in 2015 to shuttle kids back and forth — like Uber or Lyft, but with a driver who is a caregiver. Now, the company is expanding to provide senior transportation. Families can either add a senior to their account or seniors can sign up themselves, according to HopSkipDrive’s website. 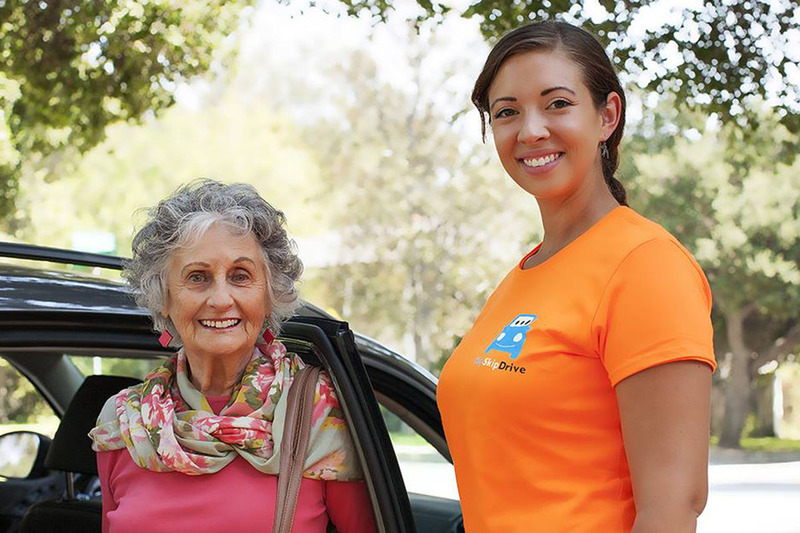 Drivers, who have a minimum of five years of caregiving experience and have been vetted through a 15-point certification process (including fingerprinting), will arrive wearing a bright orange, branded shirt. A support team then monitors the progress of their loved ones’ rides in real time. HopSkipDrive is currently available in Los Angeles, Orange County and the San Francisco Bay Area, but the company had plans to expand to other locations when we wrote about the company in late April. Right now, the service is offering a promotion for a free senior transportation ride (up to $20) using the code: SENIORS. Cost of rides vary with $16 or $18 set as a base fee (depending on location), or a $7 base fee if the rider is open to carpooling. If you’re living in California and are interested in driving for HopSkipDrive, sign up here and potentially start making up to $30 an hour. Or if you’re not in Cali, but helping seniors seems like the type of job you’d enjoy, learn how you could become a senior concierge.